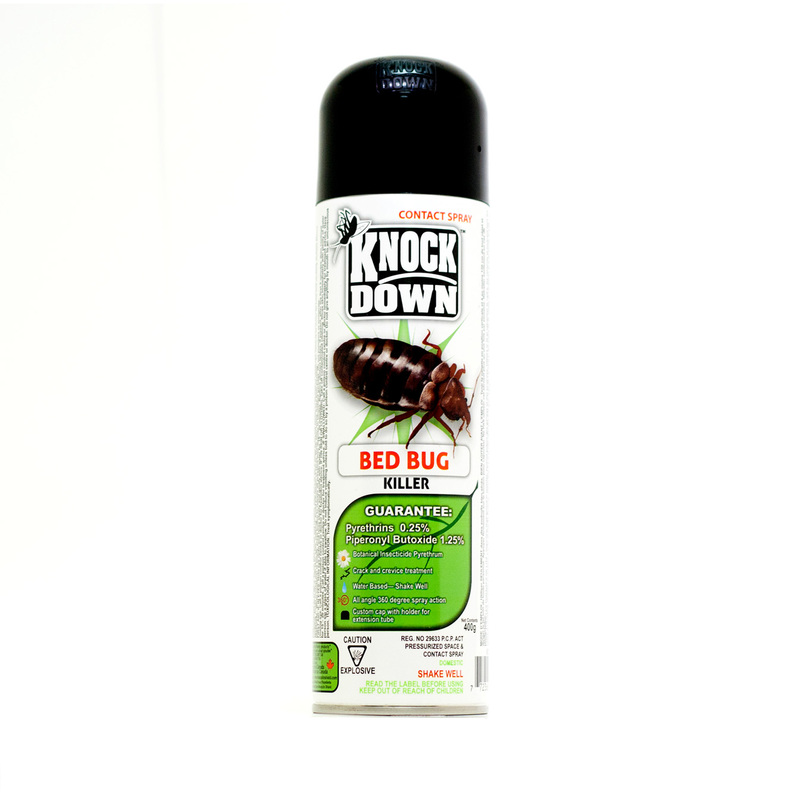 KD111D – KNOCK DOWN – BED BUG KILLER – KUUS Inc.
**Pyrethrum is a botanical insecticide produced primarily in the flowers of Tanacetum Cinerariaefolium, a species of the chrysanthemum plant family. Pyrethrum has been used effectively to control insects for decades and is non-persistent, decomposing rapidly in the environment. This rapid degradation of pyrethrins makes it an excellent choice for control of agricultural pests. Bed bugs have many hiding places including; bags & suitcases, bed frames & headboards, box springs, seams & creases of mattresses, baseboards & other furniture cracks and crevices, etc. Gather all items such as: pillows, blankets, clothes, etc, and use high heat to kill the bugs by placing them into the dryer. Spray the mattress lightly, particularly around seams and tufts. Take the bed apart, spray the bed frame and springs including all joints.